Unlike any other thru tubing milling tool the SUPERMILL is designed to drill out 100+ frac plugs without making a bit trip !! SUPERMILL is an industry leading thru tubing milling tool for drilling out frac plugs and workovers. Our SUPERMILL produces much smaller cuttings than other milling tools which is extremely important on deep horizontal well completions. 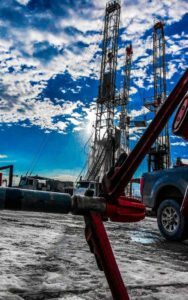 Drills Out 60+ Frac Plugs – No Tripping Out! The main advantage for using our SUPERMILL is its ability to complete the drill out process without the need to “trip out” for a bit change. This feature alone represents a significant cost saving for the operator while improving the overall well completion process. As we like to say, “It Just Takes One To Get ‘R Done”. The SUPERMILL is designed to work effectively with both stick pipe and coiled tubing. Motor stalls and motor failures are reduced considerably due to lower torque build-up during the milling process.